Lisa was expecting her first baby with husband Matthew. It was really late in the pregnancy and luckily Matthew found us! We were able to fit them in and give them a fantastic experience. Many parents to be think about getting professional photographs to capture their special event. But often with the business of life, preparing to welcome the baby, and wrapping things up at work, finding a photographer becomes just another chore. Before you know it the baby is due! What can you do? Even if you’re really late, contact us as soon as possible! The biggest regret that we hear from our families is that they missed out on Sydney maternity photography in their previous pregnancy. The next time around they prepare early, but then they feel guilty that their older child didn’t get the same memories. Don’t let that happen to you! Lisa & Matthew found us when she was 39 weeks. While this was probably 2 months later than we would have liked, we were still able to slot a time for them. The reason we prefer to do it earlier is because you are a lot more tired very close to the due date. There’s also the chance of the baby arriving before you can come into the studio! That has happened with a few clients even at 36 or 37 weeks. But luckily Lisa was still feeling quite good and very keen to capture all these emotions to enjoy later. 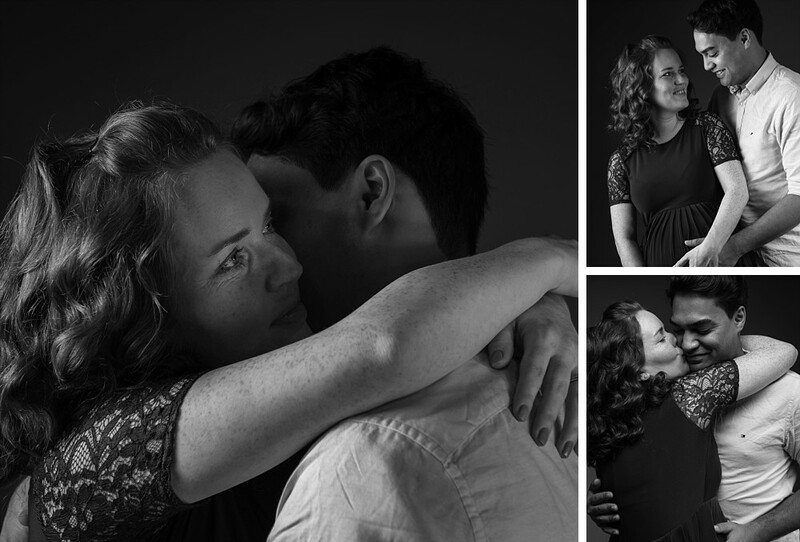 It was a whirlwind getting to know their story in the short few days before the photographic session. Learning how they met, and what family meant to them. Especially coming from a large family overseas and moving to Australia, starting their own family here was a big and significant step. How their relationship would change from being a couple, to a family with their little girl. We talked about the challenges they faced, we had ultrasounds, love letters, and big plans for the future. We captured all these emotions and created artwork that would allow their little girl to understand and feel what this time was like, all those years in the future. It’s often forgotten that photographs are not only for you, but they are also a legacy for your children as the years pass. 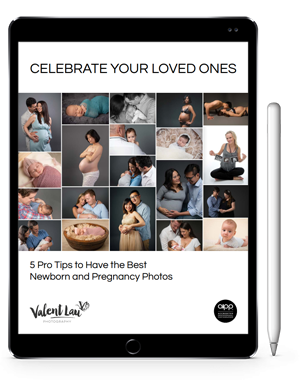 And then for their extended family who must be so eagerly anticipating the news, we created a custom phone app of their photographs which they could use to share so easily.